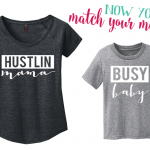 JJD is now bringing you unique and stylish tops & tees! 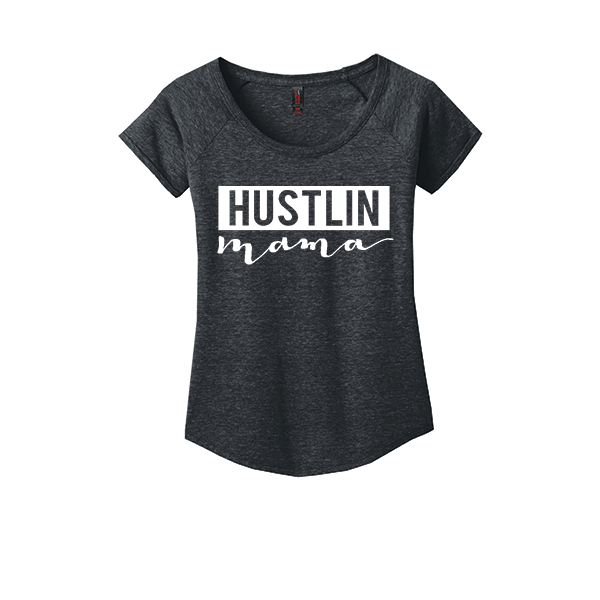 With hand-lettered text and a comfy scoop neck tee, you’ll be the most stylish mama on the block! 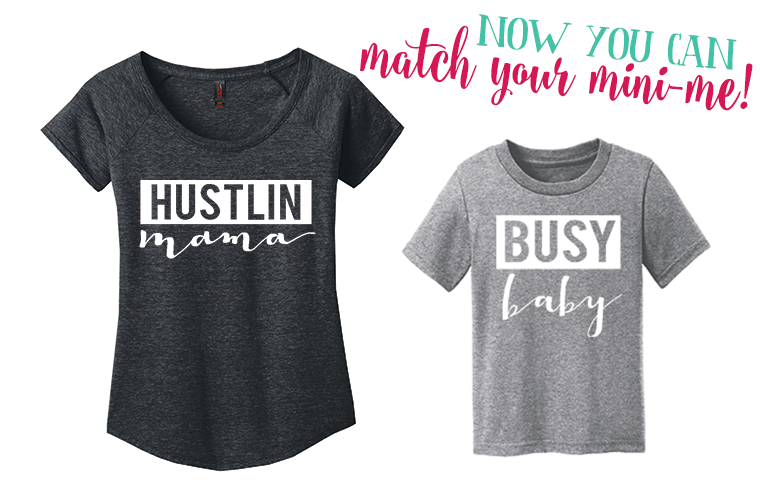 Check out the matching Busy Baby infant & toddler shirt!